Delphi's multitarget Project Manager (View ^ Project Manager) works on a project group, which can have one or more projects under it. For example, a project group can include a DLL and an executable file, or multiple executable files. In Delphi 6, all open packages will show up as projects in the Project Manager view, even if they haven't been added to the project group. In Figure 1.9, you can see the Project Manager with the project group for the current chapter. As you can see, the Project Manager is based on a tree view, which shows the hierarchical structure of the project group, the projects, and all of the forms and units that make up each project. 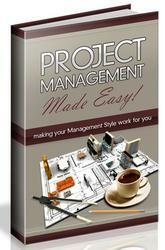 You can use the simple toolbar and the more complex shortcut menus of the Project Manager to operate on it. The shortcut menu is context-sensitive; its options depend on the selected item. 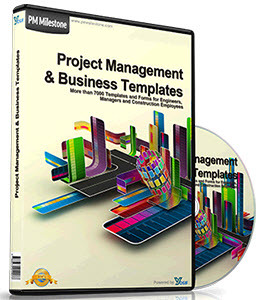 There are menu items to add a new or existing project to a project group, to compile or build a specific project, or to open a unit. Of all the projects in the group, only one is active, and this is the project you operate upon when you select a command such as Project ^ Compile. The Project pull-down of the main menu has two commands you can use to compile or build all the projects of the group. (Strangely enough, these commands are not available in the shortcut menu of the Project Manager for the project group.) When you have multiple projects to build, you can set a relative order by using the Build Sooner and Build Later commands. These two commands basically rearrange the projects in the list. Among its advanced features, you can drag source code files from Windows folders or Windows Explorer onto a project in the Project Manager window to add them to that project. The Project Manager automatically selects as the current project the one you are working with—for example, opening a file. You can easily see which project is selected and change it by using the combo box on the top of the form. Manager; they are compiled along with the project. Simply move to a project, select the Add shortcut menu, and choose Resource File (*.rc) as the file type. This resource file will be automatically bound to the project, even without a corresponding $R directive. ifndef ROOT ROOT = $(MAKEDIR)\.